Sotones began as a night that brothers Bobby and Dave Wade-Brown of the the Beaux Hardts and Liam Strachan promoted at Southampton club circuit venue Lennons from 2004. They soon began organizing concerts with other bands from Southampton and further afield, and bringing the bands to more venues around the city. By 2007 it was apparent that there was enough great music being made to be worth documenting, so at a party in 2007 they decided to bring Sotones to a wider audience. 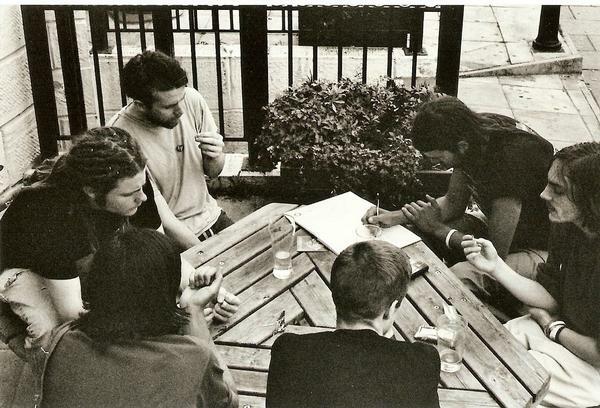 One of the very first meetings to lay out the plans for Sotones. Sotones was founded as a co-operative. This means that the artists are also members, who own the label entirely together and are able to hire and fire the staff each year at the AGM. The staff in question is also largely made up of artists, but Sotones also rely on volunteers and interns. That first label sampler was reviewed in Kruger Magazine and airplay on several local BBC Introducing shows. It featured artists who are still with Sotones today as well as Blakfish and Band Of Skulls (then known as Fleeingnewyork) who have since gone on to do great on their own. Since its’ inception, Sotones has come leaps and bounds with the first new signings since 2007, a distribution deal with State51 and their first 12" and 7"; releases as well as founding a publishing arm. A highlight of summer 2009 (alongside festival spots for various Sotones artists at Glastonbury, SGP, Bestival and Burningman among others) was the Bike Tour, where Sotones’ Lonely Joe Parker played twelve dates in fourteen days, traveling between shows by bicycle and co-headlining with other Sotones artists along the way. 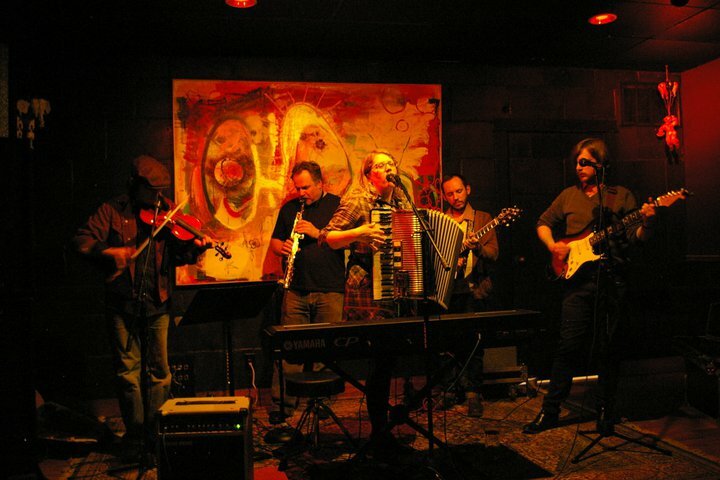 In 2011 Anja McCloskey went on tour in the midwest playing shows across 8 states. Sotones acts have played across the UK as well as Ireland, France, Belguim, Italy, Spain, Estonia, Germany, Denmark, Norway, Sweden and the US. These include support tours for The Ting Tings, The Holloways and Mystery Jets, as well as requested support slots for Noisettes, Band Of Skulls, Glasvegas, Thomas Tantrum, Delays, SixNationState and me:one. The label has released over 100 records and the label’s output has received local and national radio play on BBC stations including BBC Radio 1, 6Music and Radio 2 as well as Xfm and Resonance FM. Sotones artists have caught the attention of national and international traditional and online media, including Kerrang!, NME, Rock Sound, Drowned In Sound, Artrocker, Clash Magazine and Kruger Magazine.